Zap House Media started as a video company called Zap Video Productions in the early 90's and had built up a solid reputation in the Cleveland area as a go-to location for all things video, from home movie transfers to wedding videos to commercials. Since then, the company has re-branded and expanded. 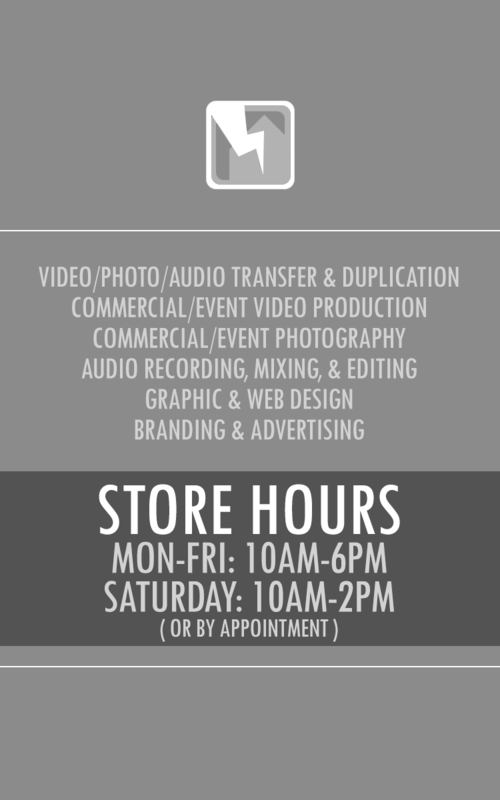 Now, in addition to their video services, Zap House offers a wide array of other related services such as photography, audio recording/editing, and web/graphic design. Whether you're a small business or just a person with a passion, Zap House is your one-stop-shop for turning ideas into reality. Zap House Media has helped grow businesses from the ground up, starting with the branding, logo design, business card design, website, etc. From there, professional product/service photography comes into play as well as professional videos for YouTube and for commercial advertising. After that, many businesses consider audio ads and/or social media management. Zap House offers all this in a bundled price to save you time, money, and peace of mind. Even if you're not a business owner, their services are widely utilized for weddings (photography, videography, DJ, video presentations, invitation design, etc. ), bands (audio recording, photo shoots, live recording, DVD, cover design, flyer design, etc. ), students & job-seekers (scholarship videos, resumes, cover letters, business card design, etc. ), and even small things like unique gifts for birthdays and holidays (picture video montage, home movie transfers, etc.). Stop by and let the experts at Zap House know what your project is and they'll be more than happy to talk to you about what services they can offer and how they can save you money. Their studio location is now featuring a small shop of Cleveland-area artist works such as books, paintings, music, and products, all by Cleveland creators. 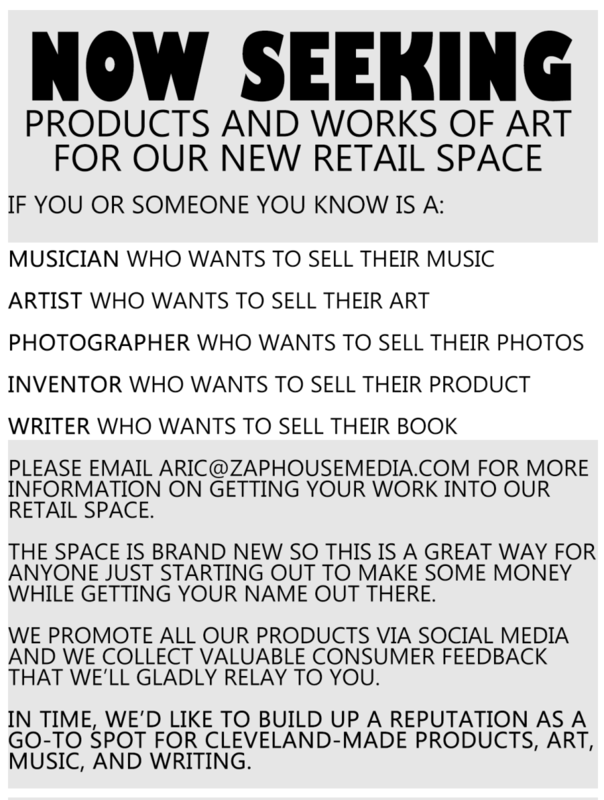 Now seeking local art, music, books, and products for our brand new retail space featuring Cleveland-area talent.